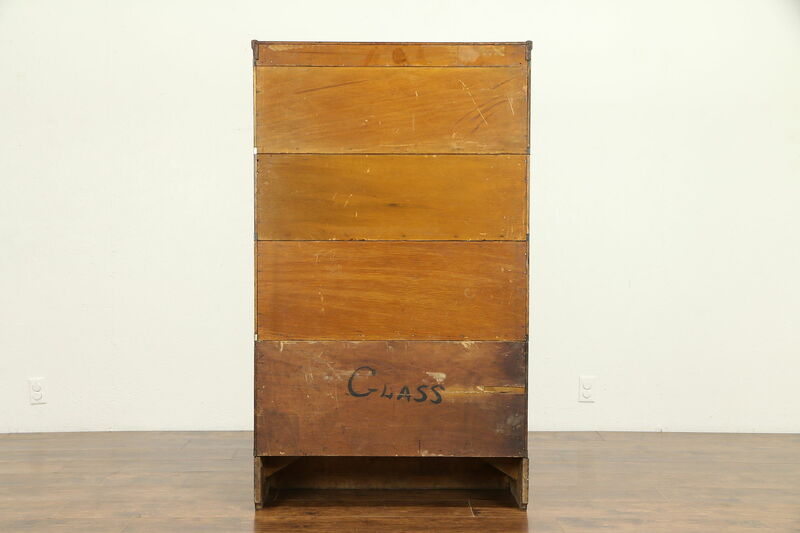 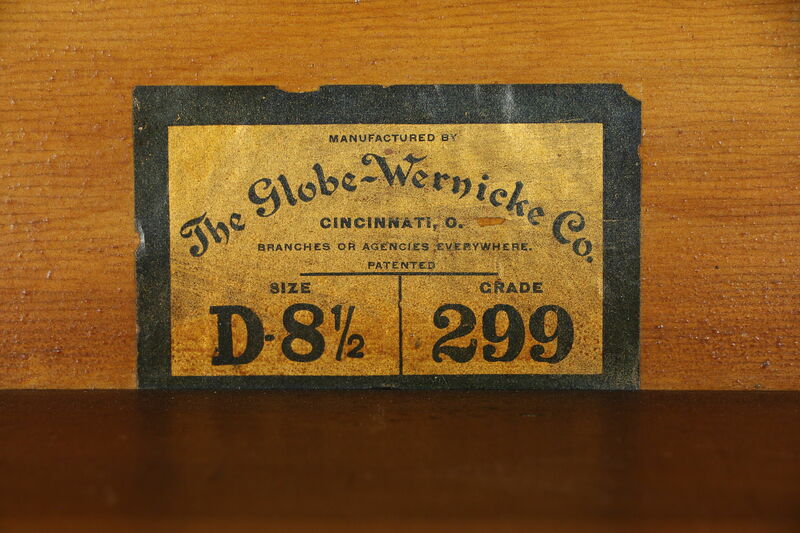 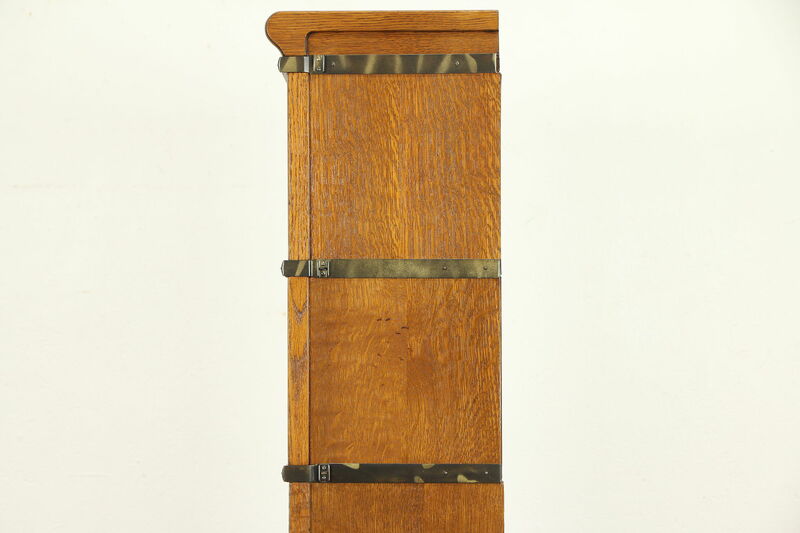 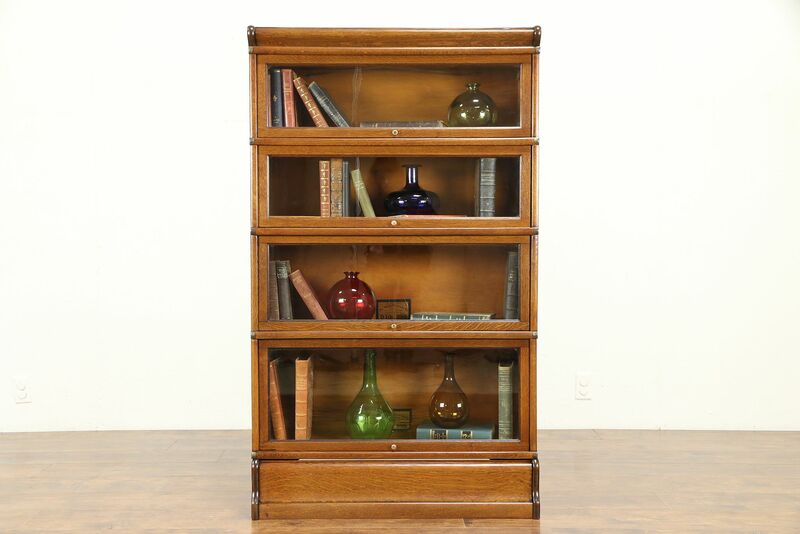 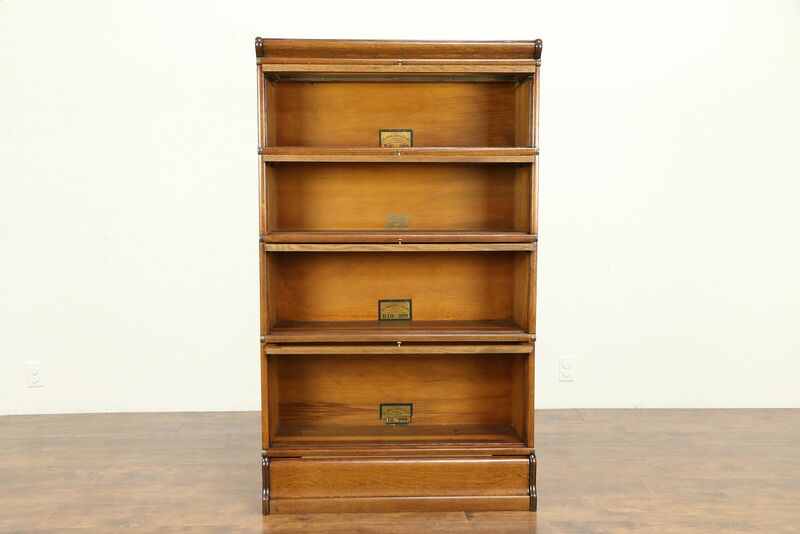 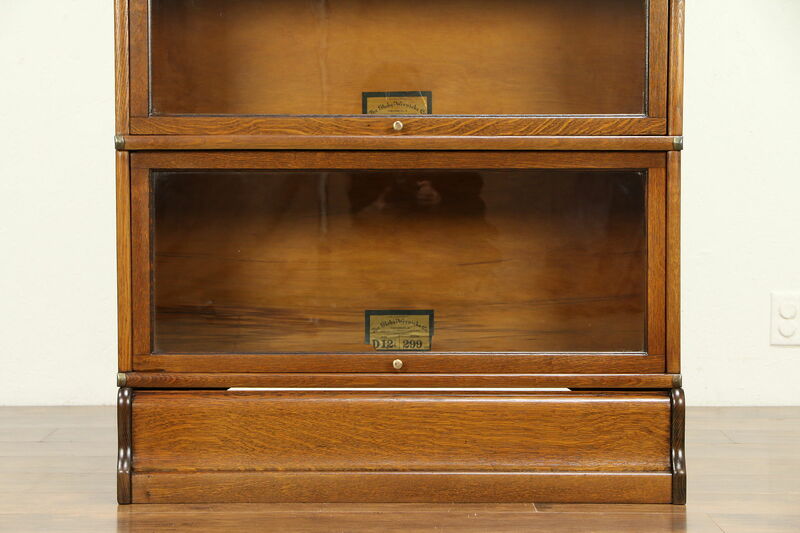 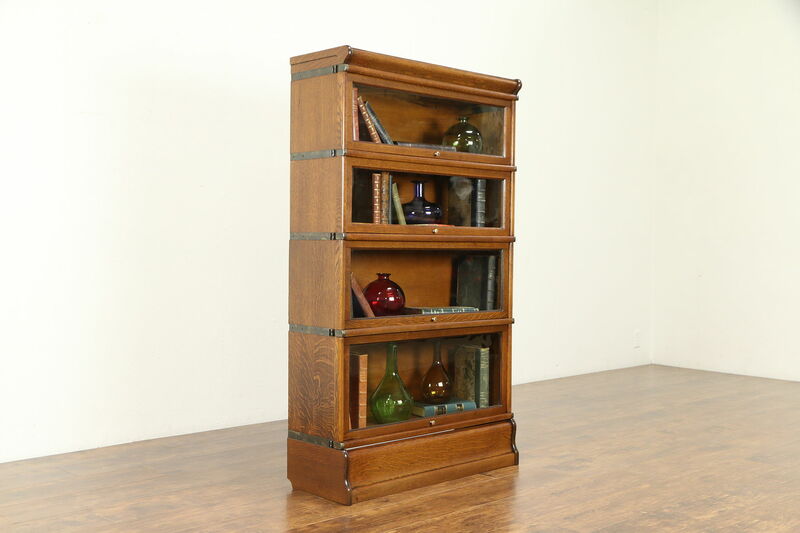 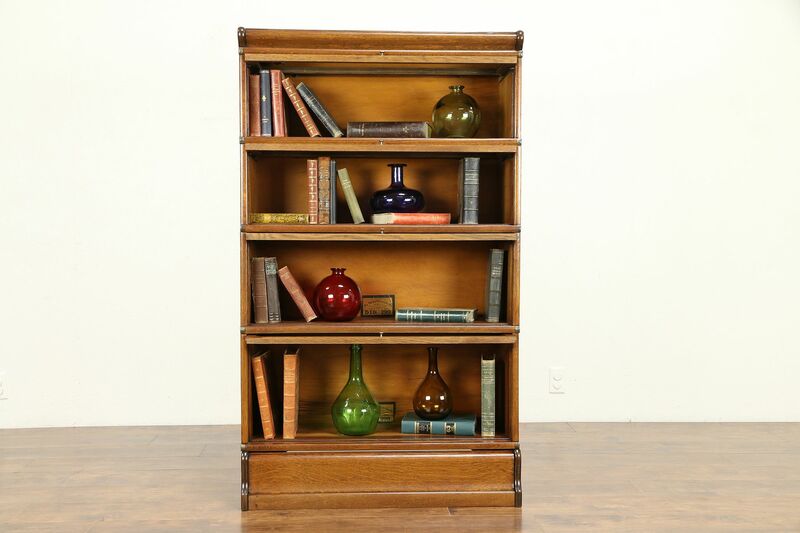 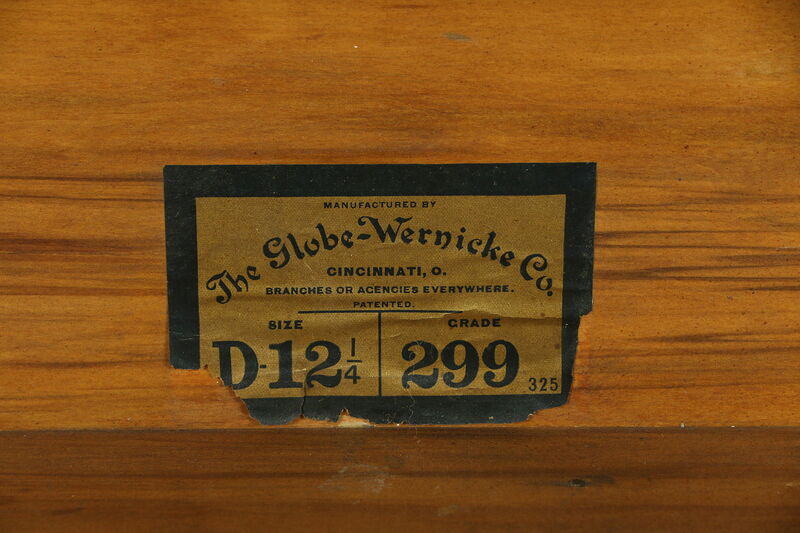 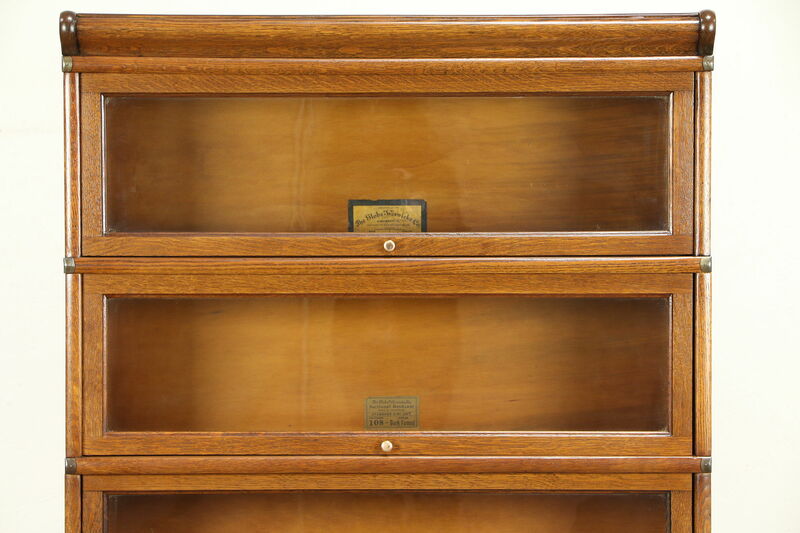 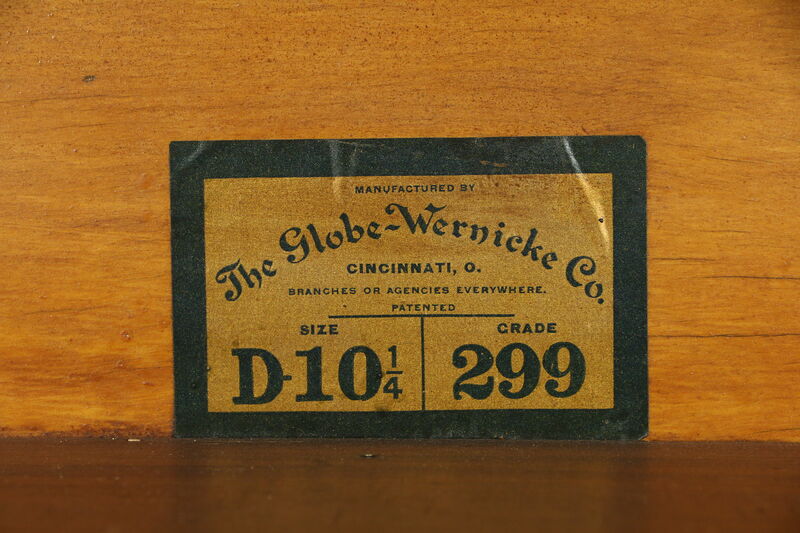 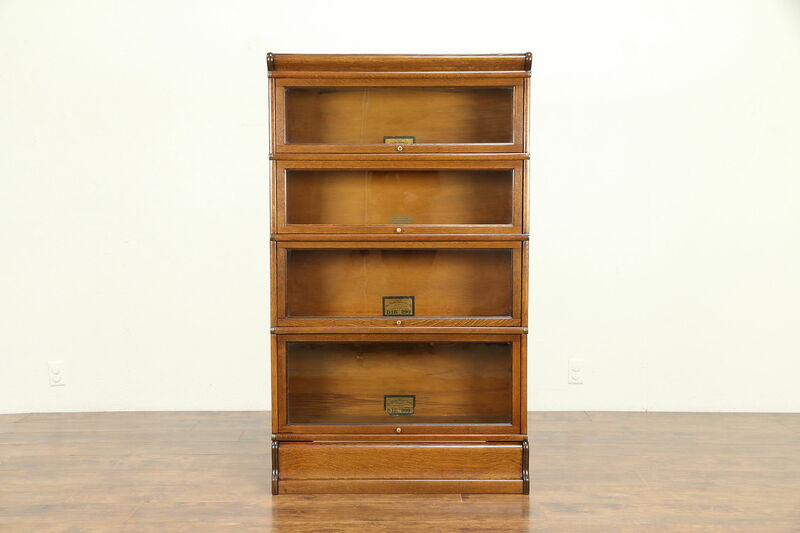 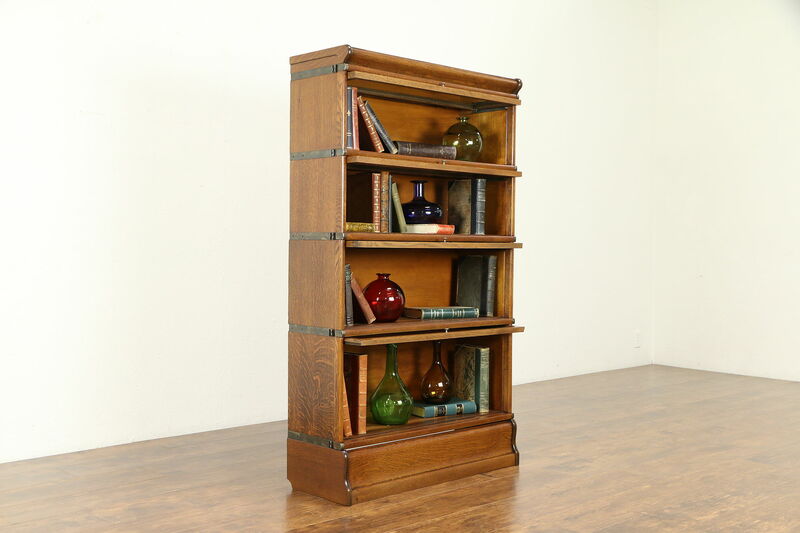 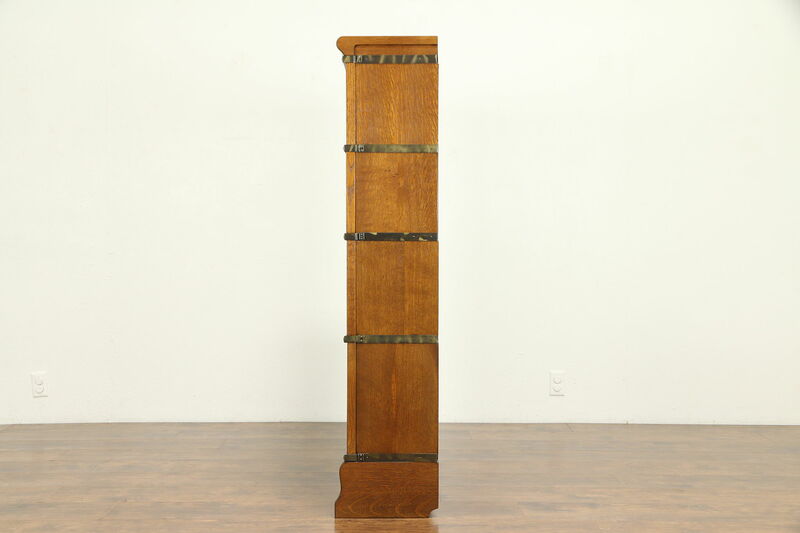 A superlative quarter sawn oak four stack lawyer's or barrister's bookcase dates from about 1905, and is signed by famous maker, "Globe Wernicke of Cinn., Ohio." 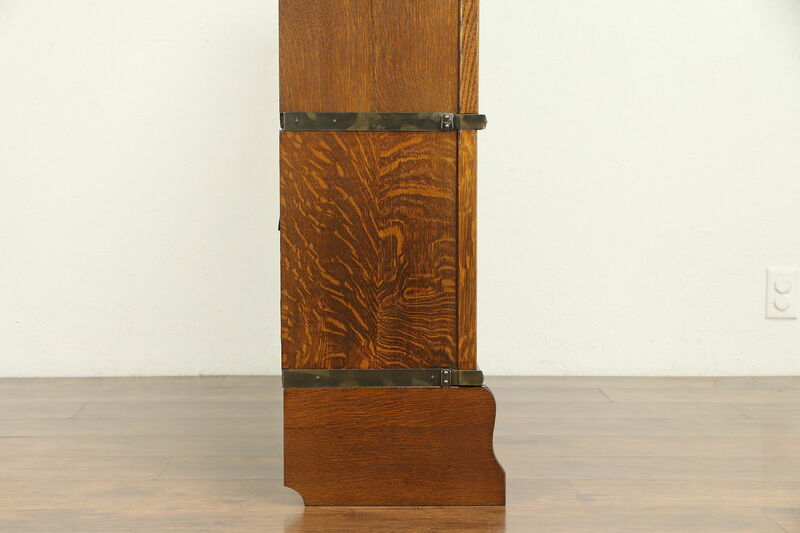 Doors have original wavy panes. 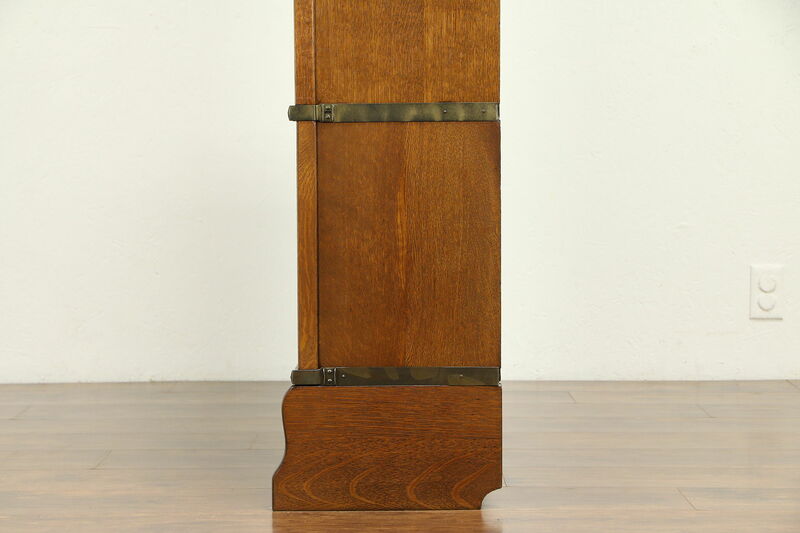 The deep restored finish is in excellent condition, preserving a few mars and shrinkage separations from age, see photos. 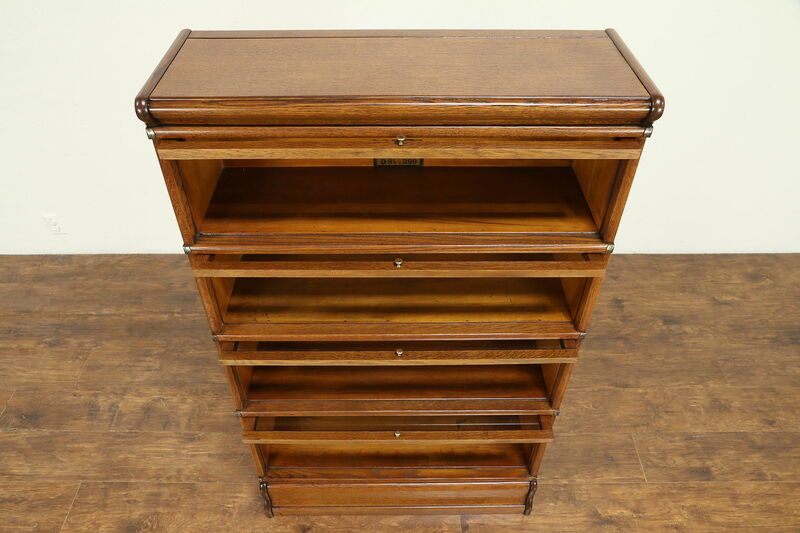 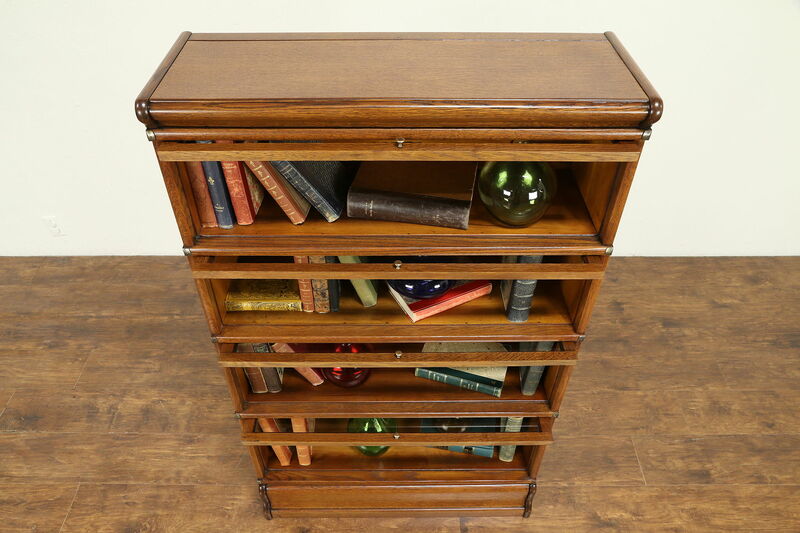 The base and top are also separate interlocking sections on this American made antique library or office furniture. 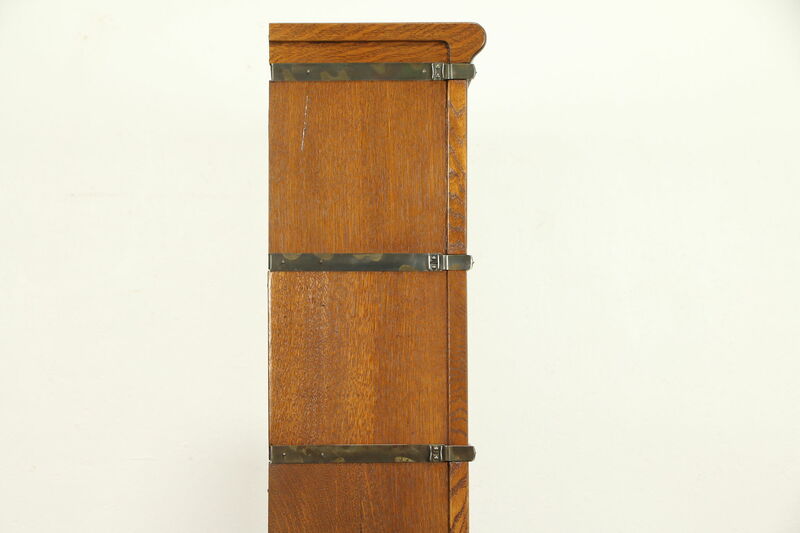 Coppery patinated hardware is original. 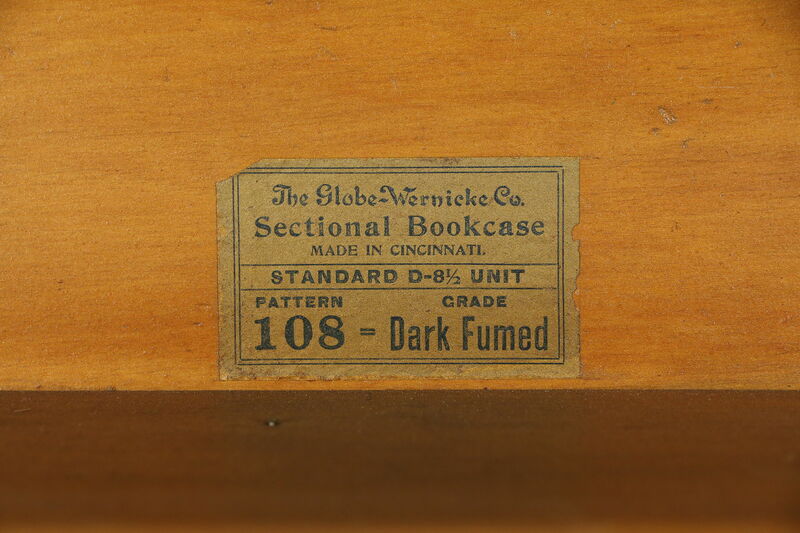 Sections will accommodate books up to 9 1/2" wide, two sections up to 9" tall, one section up to 10 1/2" tall and one up to 12 1/2" tall. 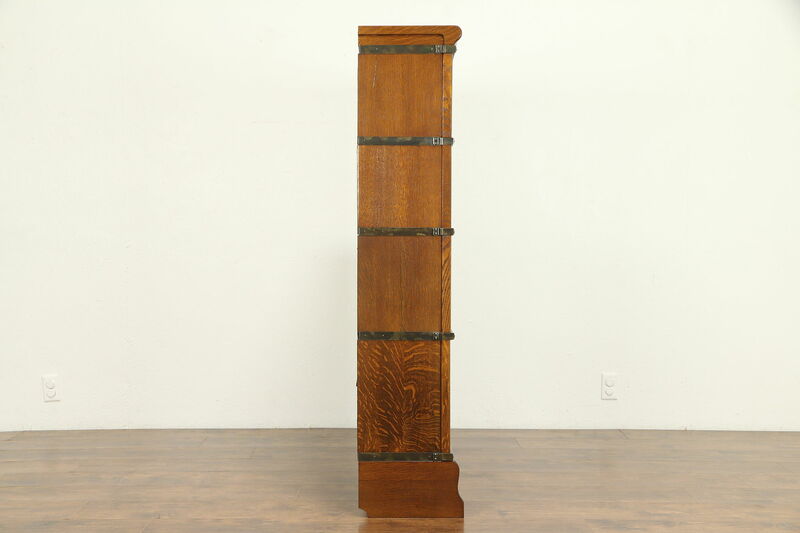 Overall size is 34" wide, 13" deep and 58" tall.